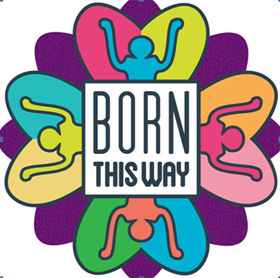 The Palm Springs Gay Men’s Chorus presents “BORN THIS WAY” at Palm Springs High School Auditorium on Saturday Evening, April 27 at 8 p.m. and Sunday Afternoon, April 28 at 3 p.m. The 100-voice men’s chorus will be led by renowned Artistic Director Robert Seeley with Accompanist Bruce Mangum and a 25-piece orchestra. Palm Springs High School Auditorium is located at 2401 East Baristo Road. 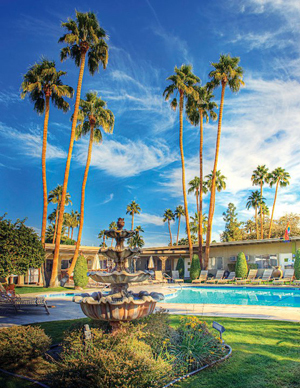 “BORN THIS WAY” is a musical odyssey of self-discovery, affirmation & celebration, and the desert’s premiere of Metamorphosis. Act One will include up-beat, fun and gay-themed songs such as Born This Way, Over The Rainbow, Children Will Listen, Walk Like A Man, How Could Anyone, Hallelujah, Where The Boys Are, YMCA, Everything Possible, The Prayer, and I Am What I Am. Act Two will feature the music and lyrics of Robert Seeley and Robert Espindola in Metamorphosis — a life-affirming 11-movement piece exploring the stages of life through which any person, but especially gay persons, journey to reconcile one’s own heart and experience internally and with the universe. The moving and transparent repertoire of Metamorphosis follows the course of life from before birth through youth, to rejection, humiliation and misunderstanding at the hands of family, society and religion, ultimately resolving in a very personal and transformative reconciliation. Renowned Composer and Artistic Director Robert Seeley is a seasoned veteran in male choral music having served as former Composer in Residence for the Portland Gay Men’s Chorus, as well as the San Francisco Gay Men’s Chorus for which he composed NakedMan in 1996. He has also written for the Twin Cities Gay Men’s Chorus (Metamorphosis), Dallas Women’s Chorus (Only Human), New York City Gay Men’s Chorus (In This Heart of Mine), Turtle Creek Chorale (To a Dancing Star), Gay Men’s Chorus of Washington (This House Shall Stand: Songs of My Family), Seattle Men’s Chorus (Over the Skies of Yisrael) and the Portland Gay Men’s Chorus (BraveSouls and Dreamers). “BORN THIS WAY” Advance Tickets are available for $50, $35 and $25 online at PSGMC.com or by purchasing directly from a chorus member. Tickets will also be available for purchase at the door for $55, $40 and $30.